Welcome to Europa, in the heart of the International Village. This one bedrooms has a large kitchen featuring black granite counter tops, Stainless steel appliances including gas stove, plenty of counter space and lot of cabinets and storage. Open concept living/dining room, featuring newly installed hardwood flooring. Wonderful views of the water, mountains and city. The suite comes w/1 parking & storage locker & has AC! The building amenities feature a pool, gym, sauna, party room, outdoor garden play area& Concierge. 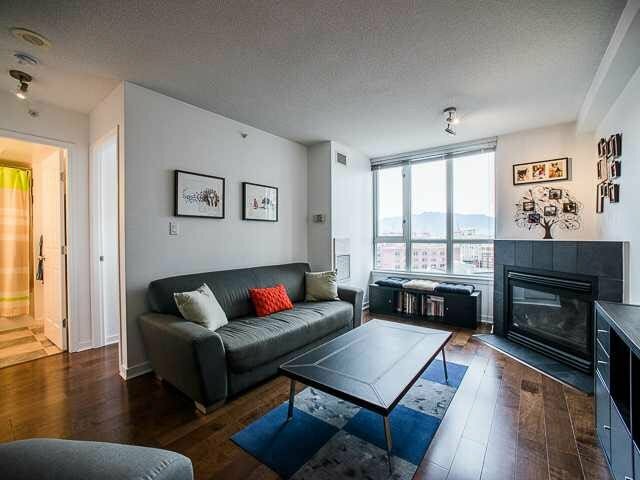 Well run building in terrific location, walk to Starbucks, Nesters, T&T, London Drugs, liquor store, Sky train, all the trendy restaurants in Yaletown, Crosstown & Gastown.